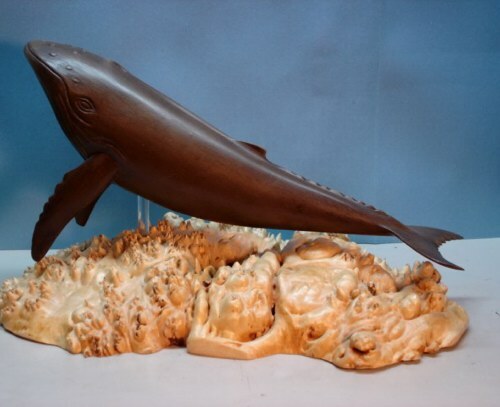 The original for the Humpback Whale was hand carved from a single piece of Butternut wood by artist Randy Groves. 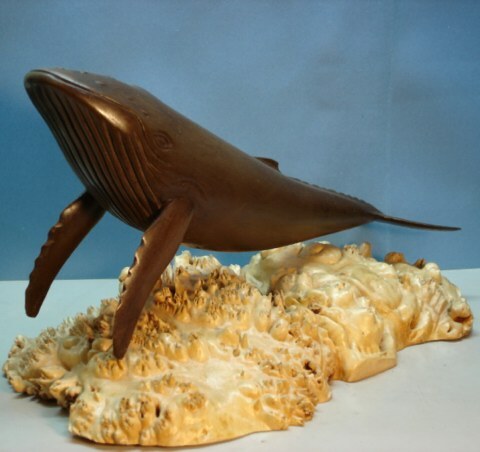 The humpback whale is available in cold cast bronze and pecan wood, both on a maple burl base. Each Whale has been signed and numbered under the tail by Randy Groves. The Whale itself is 16" long by 8" high. The bases vary in size as they are a natural occurring growth.